What does Thailand’s election mean for the country? 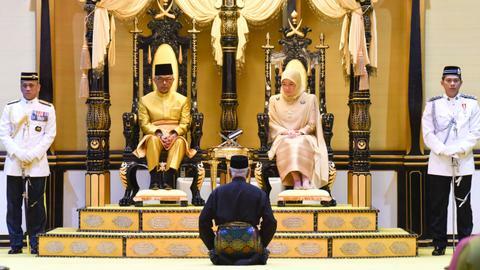 Why is Malaysia’s monarchy so unique compared to other kingdoms? The Thai Raksa Chart Party is now fighting for its survival after nominating Princess Ubolratana Mahidol as a prime ministerial candidate for the March 24 general elections. Thailand's king had called her move "highly inappropriate." Thailand's election commission on Wednesday asked the constitutional court to dissolve a party that proposed a princess as a candidate for the post of prime minister, a potentially serious blow to the political aspirations of the kingdom's powerful Shinawatra clan. The political crisis started on Friday when Princess Ubolratana's name was submitted by Thai Raksa Chart, a party allied with divisive billionaire ex-premier Thaksin Shinawatra. Her unprecedented bid to enter frontline politics unravelled within hours after King Maha Vajiralongkorn, the 67-year-old Ubolratana's younger brother, decried the entry of the former royal into the political fray as "highly inappropriate". Thailand's powerful and vastly wealthy monarchy is seen as above politics, although royals have intervened before during times of political crisis. The commission brought a premature end to the princess's political career by disqualifying her as a candidate for premier. It said on Wednesday it recommended the Thai Raksa Chart Party be dissolved because its prime ministerial candidate was "in conflict with the system of rule of democracy with king as head of state." What made Ubolratana's bid particularly notable was her allying herself with a party that is part of the political machine of former Prime Minister Thaksin Shinawatra, who was ousted in a 2006 coup and is loathed by many royalists and others in the country's traditional establishment. 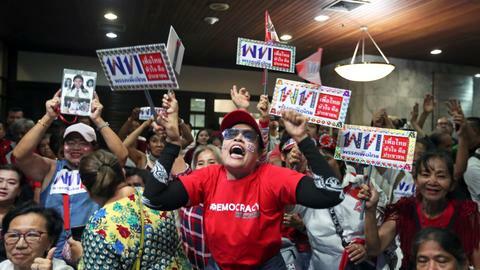 The whirlwind events have reignited longstanding political tensions in Thailand, which is still run by a military junta that seized power in a 2014 coup and ousted the government of Thaksin's sister. Since the coup, the junta had used strict laws against protests and political activity to keep the tension from bubbling to the surface. Ubolratana, who is active on Instagram with more than 100,000 followers, late on Tuesday posted a message reflecting on the events. "I am sorry that my honest intentions to help work for the country and all Thais have resulted in a problem that should not arise in this day and age. #howcomeitsthewayitis," said her message. 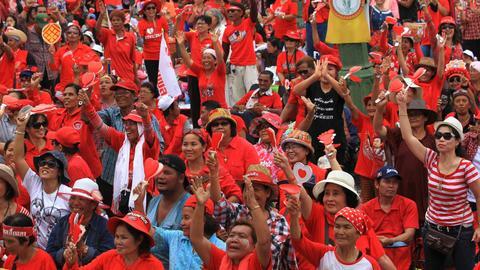 After the king overruled its candidate, Thai Raksa Chart avowed its fealty to the king and acceptance of his order, but its opponents urged the party's dissolution. Before the Election Commission made its recommendation, party leader Preechapol Pongpanit called for the body to hear its defence. "If they don't let us tell our side, it'd be as if we were tied by our hands and feet," he said. Ubolratana's candidacy could have pitted her against the preferred candidate of the pro-royalist military, junta leader and Prime Minister Prayuth Chan-ocha, who led the 2014 coup. Prayuth was considered the frontrunner, largely because election laws enacted under his government skewed the odds against any party running without the support of the military and the conservative royalist establishment. Under the military-drafted constitution, the junta appoints all of the upper house, which along with the lower house gets to vote for prime minister. Three pro-Thaksin parties running in this year's election were seen as posing the greatest challenge to Prayuth and pro-military parties, and recruiting the glamorous Ubolratana to their cause was initially seen as boosting their odds. They appear to have assumed that since she lost her formal royal titles in 1972 when she married a foreigner — an American whom she has since divorced — that the strictures against royal involvement in politics would not apply to her. Dissolving Tha Raksa Chart Party would almost surely cost the Thaksin side much-needed seats in the election. It would also deepen concerns about the fairness of the March poll, the first since the coup. Those concerns were heightened Tuesday when the country's telecoms regulator suspended the operating license of a TV station linked to Thaksin, citing national security concerns. The National Broadcasting and Telecommunications Commission said two news programs on the station spread information that caused public confusion and divisiveness.